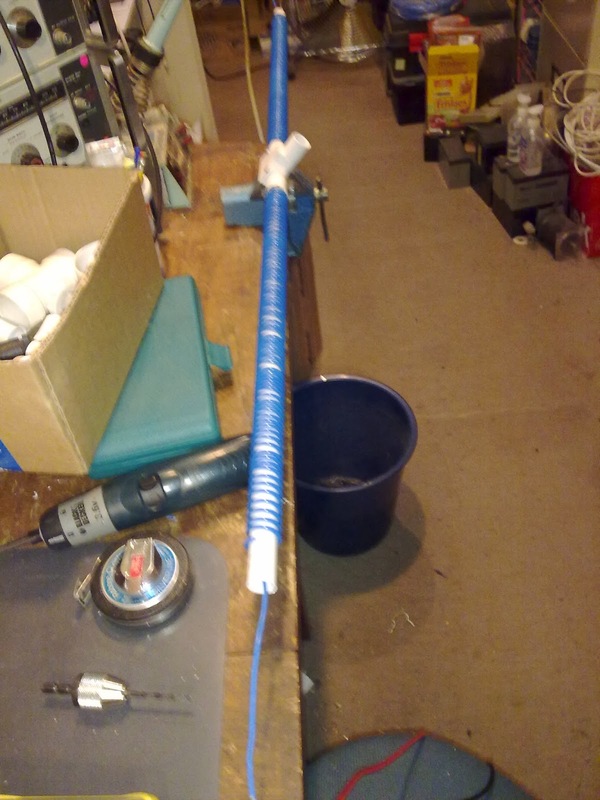 A long time ago I made an 11 metre CB aerial. It blew the locals away and I received complaints of 'bleeding'. When measured with a field strength meter it showed a strong field at 10 wavelengths away. Now I have a beautiful H.F. rig, I need an aerial system. The receiving wire just does not cut it. I don't have lot of room for a full size 40 metre dipole. So I have looked into helical aerials again. 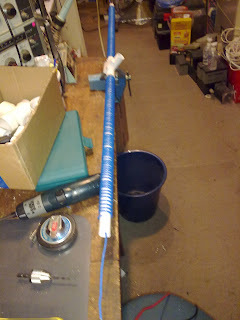 While I was shut down, yesterday afternoon, I got around to making my helical aerial for 10 metres. The storm passed and did not look like there was another in the line from the South West. Not too pretty - yet. But it will be neater when finished.